You can’t help but fall in love with her beautiful voice and honest lyrics. Emily Warren killed it at KAABOO. After her set, Warren talked with College Magazine about her songwriting process, NYU, working with the Chainsmokers (she earned a Grammy for “Don’t Let Me Down”) and advice for aspiring songwriters. She’s no longer the mystery voice on the Chainsmokers’ track—Warren’s vocals makes waves on its own. 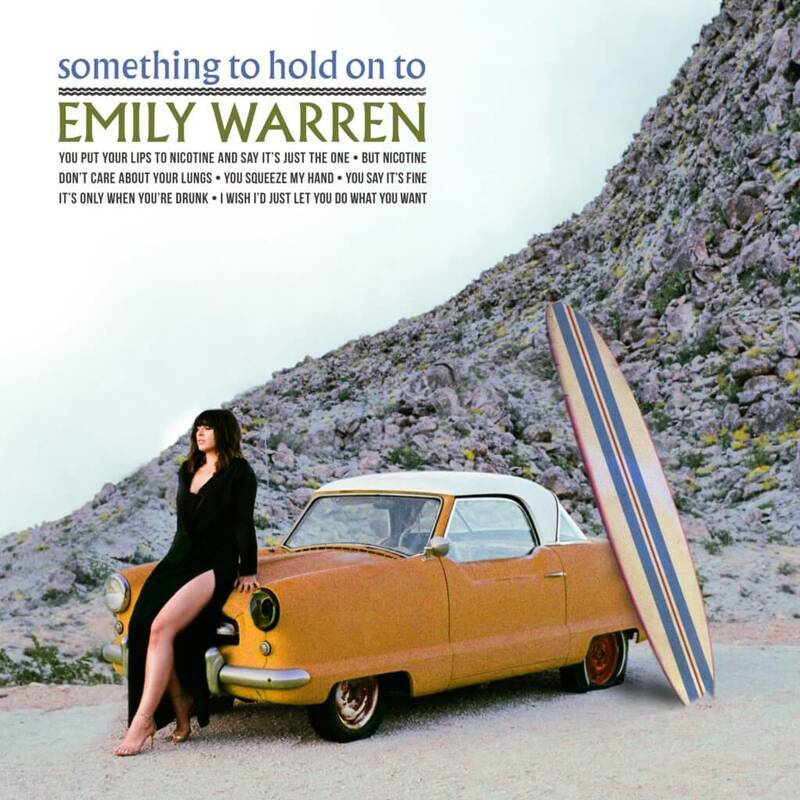 Check out our interview with singer songwriter Emily Warren at KAABOO Del Mar Festival. College Magazine: How did you feel about performing at KAABOO? Emily Warren: It’s sick. It’s great since there are so many bands—it’s made for music fans. My music is chilled out so having people attentive and paying attention was really cool. CM: What do you think is most unique about KAABOO? EW: It’s where Coachella cuts off and it’s open to everyone, even my family’s here. There something for everyone and the food’s amazing. Anything you could want is here. CM: Who were you excited to see in the KAABOO lineup? EW: I’m trying to see Pink here tonight. I’m a big fan. I’m excited to see her swinging over the crowd. CM: What’s something you think most people don’t realize about being a songwriter? EW: Most people don’t know that other people write songs for artists, but that’s shifting now. That’s why my page that got the most hits was my Wikipedia because people were drawn to knowing that, that’s really cool. CM: What’s your songwriting process? EW: There’s no secret. I always want to write about the truth. It starts with a conversation with whoever I’m writing with and the song gets written from there. CM: What is it about your music that is most important to you? EW: I was waiting to put my music out until I had something to say. It’s all true stories. CM: What’s the song that speaks to you most? EW: “Just click.” Wrote it originally with me and my friend Scott. I realized that I didn’t want to give that one away. It’s just really personal and you get really attached too. The more we had that we didn’t want to give away, we realized I wanted to start singing my own songs. CM: What did you love most about your college experience at NYU? EW: I loved being in the city; it’s where I grew up. I really loved all the other kids and how it attracts people from all over the place from different backgrounds. CM: What was it like working with the Chainsmokers? EW: They’re the best. They’re some of my favorite people to make music with. In this industry a lot of times artists move on to different people but they kept me on. They’re very genuine people. CM: What advice do you have for music students and aspiring singer songwriters? EW: I think it’s really important to always trust your gut. When you’re young and starting out there are a lot of older people higher up telling you what’s best for you but you gotta trust yourself. If you weren’t sipping on cookie cups filled with coconut cold brew at KAABOO while singing along with incredible artists like Emily Warren, you can get your passes to KAABOO 2018 and start dreaming now. Featured photo permission via sas-entertainment.